The end of the First World War also brought about the emergence of movements to liberate the oppressed people in the Austro-Hungarian Empire with the goal to establish new national states. Thus, on October 28, 1918, after great popular demonstrations, the independent Czech state was proclaimed. Two days later, the Czechs are followed by the Slovaks, who unite with the Czechs, forming a new state, Czechoslovakia. During October and November, representatives of the South Slavic peoples set up a federation that is officially established on December 1. On October 16, the great Polish military man and politician Jozef Pilsudski proclaimed “the existence of the independent Polish state” and the two “core parts” of the Dual Monarchy formalize their separation by proclaiming the Republic of Austria (November 12) and the Republic of Hungary (16 November). The empire had de facto ceased to exist, and the representatives of the Romanians in Transylvania had to only take note of this new reality and act accordingly. For the representatives of the Romanians in Transylvania and Hungary, the attitude of the Hungarian leaders made it clear that the fate of the Romanian nation would not be decided by a simple agreement with Budapest or in an international conference. The principle of self-determination, as formulated by US President Woodrow Wilson, stating the mutual guarantees for “political independence and territorial integrity of all nations, was included in the political program of the Romanian National Party. Autonomy was no longer an option; the main desire of the Romanians was the total separation from Vienna and Budapest. The RNP Executive Committee instructed Vasile Goldiş to translate the document into Hungarian, and Alexandru-Vaida Voevod with its presentation in one of the sessions of the Hungarian parliament. His intervention on October 18 caused a stir in the parliament of Budapest. Alexandru Vaida-Voevod had the opportunity to debate with the Hungarian nationalist conservatives grouped around former Prime Minister Istvan Tisza, but also with the new Entente-supporting wing led by Karolyi in alliance with the Socialists. Subsequently, the new Hungarian National Council met at the end of October 1918 with the representatives of the Romanians. The discussions took place in Karolyi’s home, and the Romanian delegation included, among others, Ştefan Cicio Pop, Alexandru Vaida-Voevod and Vasile Goldiş. But the Hungarian side did not even accept the idea of ​​a broad autonomy for Transylvania. 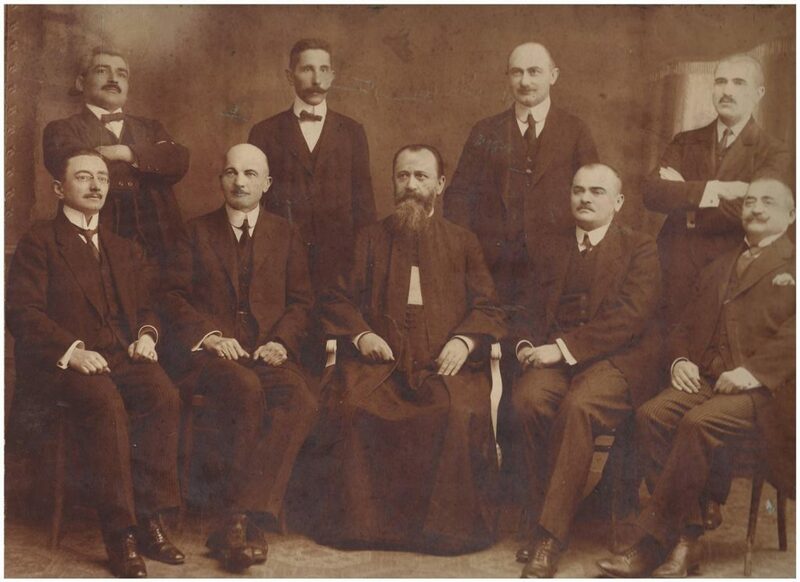 The Romanian National Council (RNC), consisting of six representatives of the RNP (Vasile Goldiş, Aurel Lazăr, Teodor Mihali, Ştefan Cicio Pop, Alexandru Vaida-Voevod, Aurel Vlad) and six representatives of the Romanian section of the Hungarian Social Democratic Party is created on October 30 in the backdrop of revolutionary events in Budapest. The RNC became the only political body of the Romanians in Transylvania and Hungary. At the beginning of November, the Council moved to Arad, and on November 6 it addressed a manifest to the Romanian nation in which it asserted the principle of ​​self-determination and the organization of national guards was formulated. The legitimacy of the RNC was completed by the adherence of the two Romanian Orthodox and Greek Catholic churches, the initiative belonging almost simultaneously to the Orthodox bishop of Caransebeș, Miron Cristea (the future patriarch) and to the Greek-Catholic Bishop of Gherla, Iuliu Hossu, future cardinal. On November 9, 1918, the RNC submitted a final diplomatic note to the Council led by Karolyi requesting the surrender of “all government power over the territories inhabited by the Romanians in Hungary and Transylvania and ordering the passage under our authority of all the institutions and state bodies, of political, administrative, judiciary, school, religious, financial and military activities in this territory”, stating that “at the same time any other authority will be dissolved on this territory”. In the note signed by Ştefan Cicio Pop, president of RNC, it is stated that an answer is expected until November 12. The document was appreciated as an ultimatum in the Hungarian National Council meeting of November 10. The rejection “risks a Romanian uprising that could result in the occupation of the country by enemy troops, perhaps even those of Romania”. As a result, it was proposed to start the negotiations with the Romanians, approved by the majority of the HNC. The one who made the proposal was Oskar Jaski, a minister without a portfolio in the Karolyi government. He was given the task of setting up a new ministry whose objective was to “make preparations in regard to the right of self-determination of the nations living in Hungary”, basically a ministry of nationalities. On November 10, 1918, the RNC addressed a “manifesto” to the Entente Powers in response to the manifest of the Emperor of Austria, stating that, separate from Austria-Hungary, the Romanian parts of Transylvania, Banat, Crişana, Maramureş and Bihor “are now one with Romania, free, independent. We irrevocably declare the desire of the inhabitants of these regions to become and to remain citizens of Greater Romania”. The document was submitted to Paris to the Allied Powers and denotes the determination of the Romanian representatives to obtain full separation from Hungary. 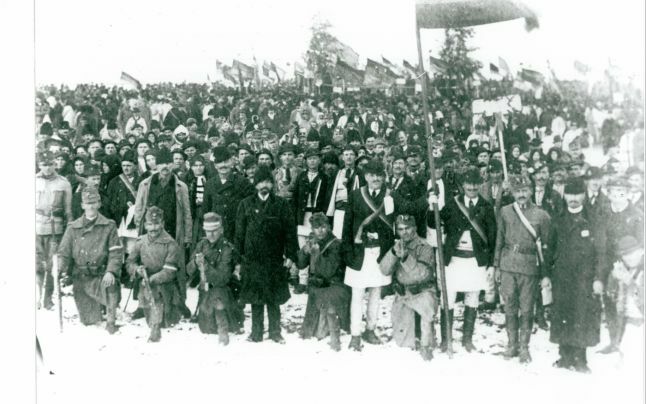 Negotiations were held in Arad on 13 and 14 November 1918 and were conducted between the Romanian National Council and the Hungarian National Council. A.J.P. Taylor, Monarhia habsburgică 1809-1918 [The Habsburg Monarchy 1809-1918], Bucharest, ALLFA Publishing House, 2000. Henri Prost, Destinul României: (1918-1954) [The destiny of Romania: (1918-1954)], Compania Publishing House, Bucharest, 2006. The Count of Saint-Aulaire, Însemnările unui diplomat de altădată: În România: 1916-1920 [The testimonies of a former diplomat: In Romania: 1916-1920], Humanitas Publishing House, Bucharest, 2016.